Home should be the one place in the world where you feel safest. If you suspect that someone untrustworthy has a key to your home, you may feel a bit apprehensive. To put your mind at ease, consider hiring a skilled residential locksmith in Charlotte. AKM Auto Key Masters is happy to help homeowners change their locks or get into their own homes after being locked out. Don’t stress out—give us a call the next time you have a problem with a lock. If you’re having a trouble with a lock, you might be tempted to handle it yourself. However, only a professional can solve your lock troubles quickly and with minimal damage. Lockout: There are a million reasons why you might find yourself outside your door, looking sadly at your front door lock. Whether you left your key inside, forgot where you left the spare, or forgot that you gave it to your wife that morning, a locksmith can help you gain entry. Lost Key: Keys are among the most widely lost objects in the world. If you find yourself in this predicament, a locksmith can be your best friend. Lock Replacement: Generally speaking, it’s a good idea to change your home’s locks once every few years. A locksmith is the person to call to ensure that your old lock is replaced with a strong, reliable new lock. There are certain circumstances that require new locks right away. Consider having a residential locksmith from AKM Auto Key Masters change your locks after the following events. 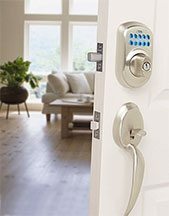 After Moving into a New Home: It’s a good idea to install new locks soon after you move into a new home. There’s always a chance that someone with an old key will try to get into your home. After Losing Your Key: If you lose your house key, assume that it’s been stolen and change your locks right away. You can never be too safe. After Giving Out Your Key: Even if you’re very selective about who you give your key to, someone may get the idea to make copies. Whether you give a key to a repairman or your neighbor, it’s a good idea to change the lock afterward. Residential lock and key issues are not only an inconvenience, but they also a possible security breach that can compromise the safety of you and your family. Make sure your home is fully protected with locks and keys that are functioning properly. If you or someone else in your household lost a key to your residence, or if you believe it was stolen, it is crucial that you get the locks changed as soon as possible! This will help you better protect your property from break-ins. 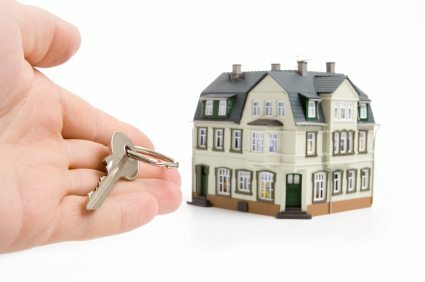 If you ever need a residential locksmith in Charlotte, call AKM Auto Key Masters at 704-458-4784. We pride ourselves on providing prompt and discreet locksmith services to our Charlotte neighbours.